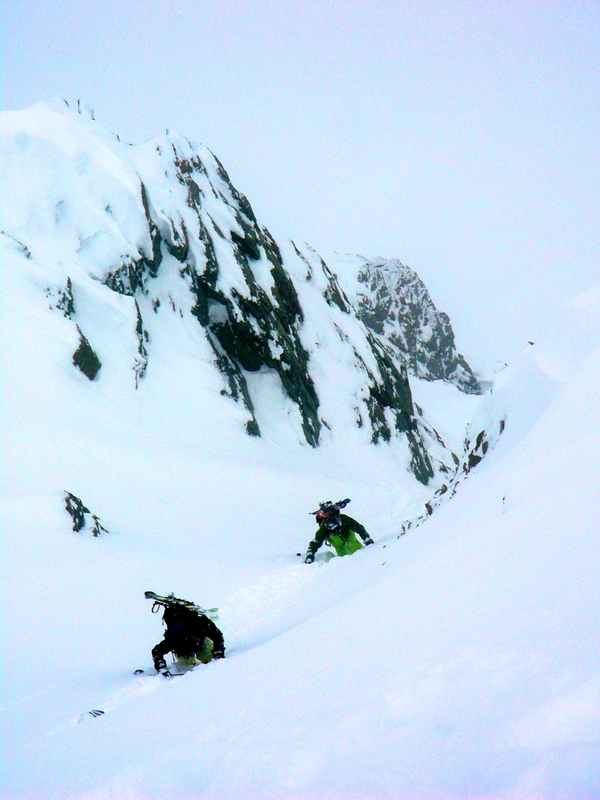 Back from the Dolomites just in time to enjoy the first snowfall in Chamonix after six weeks of high pressure and blue bird skies. 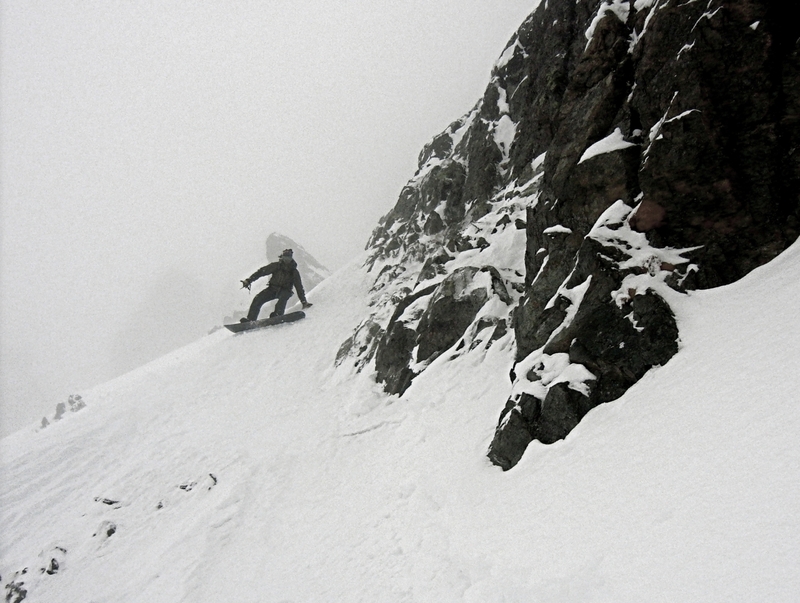 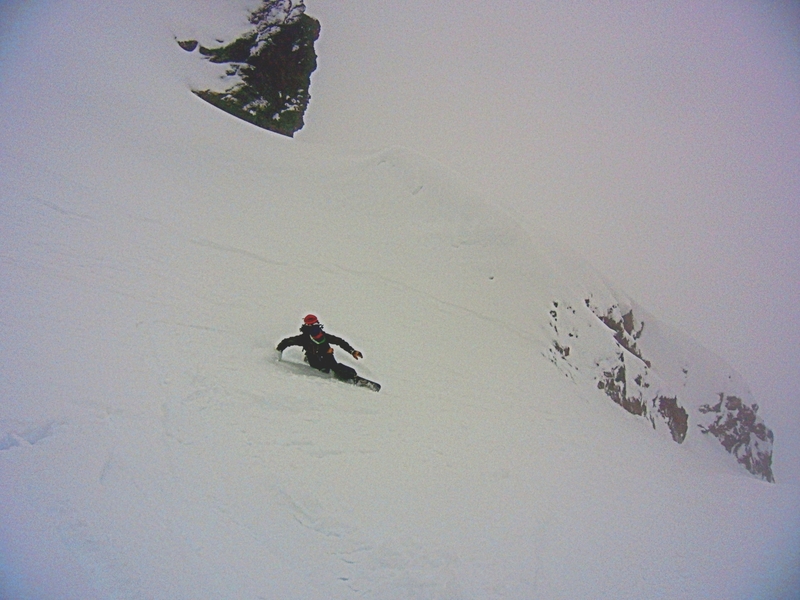 And so to the Aiguilles Rouges….Visibility was not so great but we thought we would give it a try! 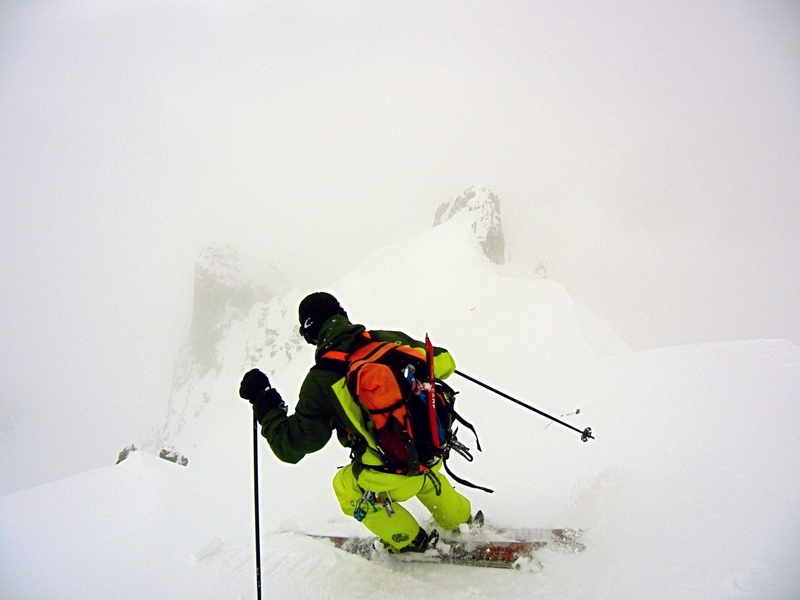 We were fortunate and enjoyed small clear windows, enough to ski a short but nice line on the West face of Aiguille de La Floria. 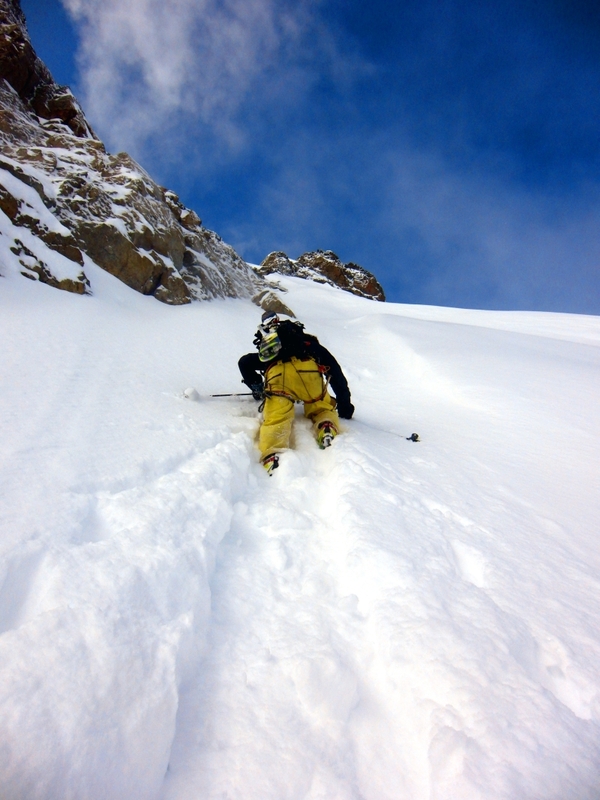 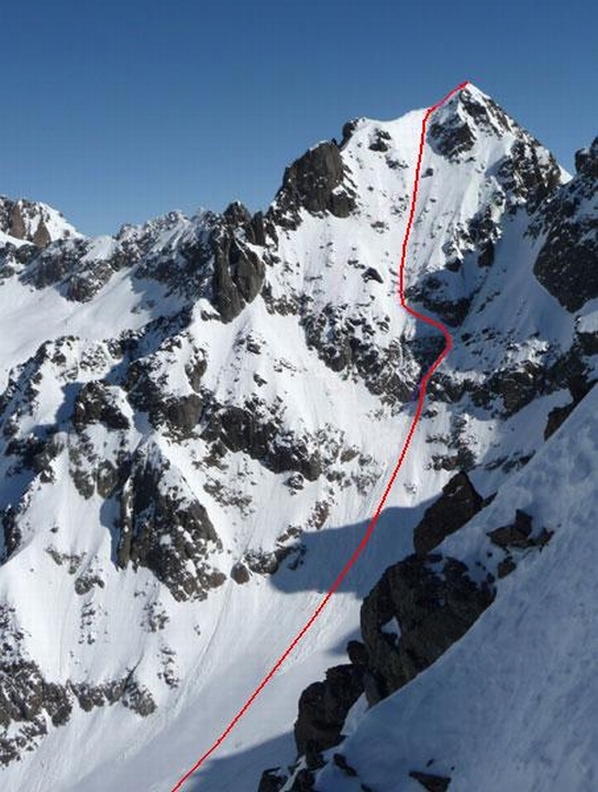 We climbed the steep East face in deep and sometimes sugary snow and had a great ski on the West face. 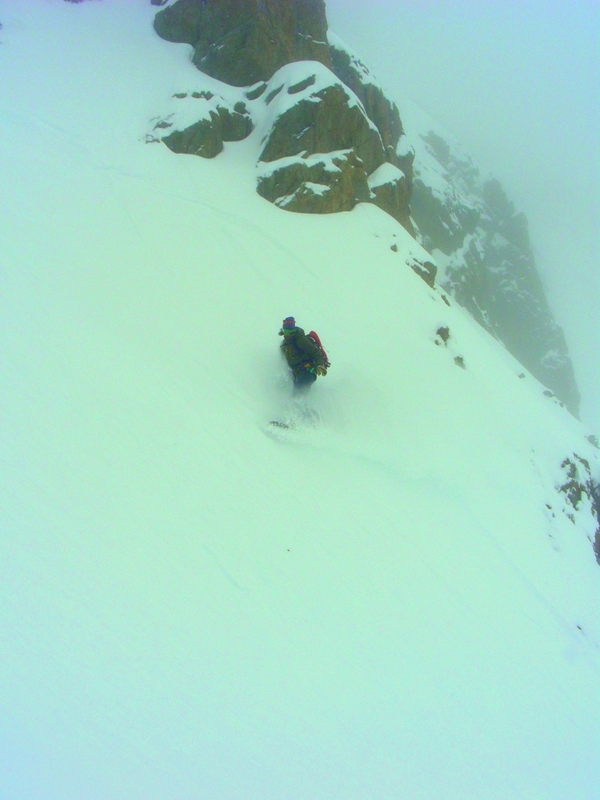 We were expecting to have to rappel in the middle of the face but conditions were better than anticipated and we found our way in the fog through the middle rocky section. 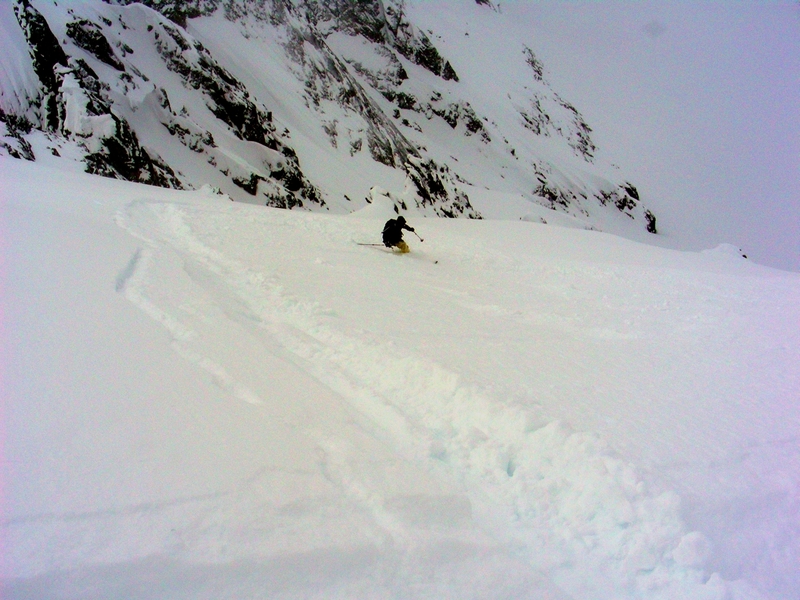 We then hiked back to Col de Berard and skiied down to Le Buet village.